The new Broadway musical Charlie and the Chocolate Factory will launch a national tour beginning in September 2018. Jack O’Brien will repeat his duties as director for the tour. 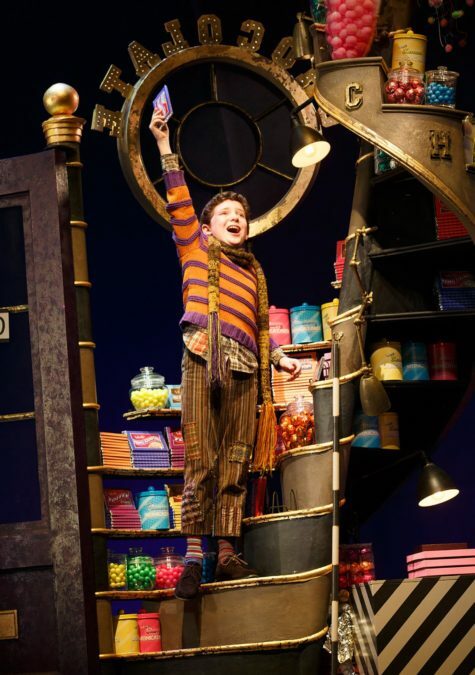 Charlie and the Chocolate Factory, which features a book by David Greig, music by Marc Shaiman and lyrics by Shaiman and Scott Wittman, began previews at Broadway’s Lunt-Fontanne Theatre on March 28 and opened on April 23. The Broadway production stars two-time Tony winner Christian Borle as Willy Wonka. In addition to Borle, the cast features Jake Ryan Flynn, Ryan Foust and Ryan Sell rotating in the role of Charlie Bucket. The company also includes Tony Award winner John Rubinstein as Grandpa Joe, Emily Padgett as Mrs. Bucket, Kathy Fitzgerald as Mrs. Gloop, F. Michael Haynie as Augustus Gloop, Ben Crawford as Mr. Salt, Emma Pfaeffle as Veruca Salt, Alan H. Green as Mr. Beauregarde, Trista Dollison as Violet Beauregarde, Jackie Hoffman as Mrs. Teavee and Michael Wartella as Mike Teavee. Casting for the tour will be announced at a later date. The musical version of Roald Dahl's tale first appeared in a West End staging at London’s Theatre Royal Drury Lane on July 25, 2013, starring Tony and Olivier winner Douglas Hodge as Willy Wonka and directed by Sam Mendes. That production played its final performance on January 7, 2017.